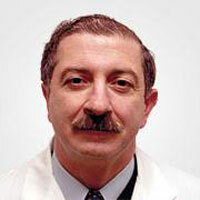 Dr. Raoul Biniaurishvili is a respected sleep specialist and as the Medical Director of the IPMC Sleep Center he reads all the sleep studies himself. Dr. Biniaurishvili (or Dr. Bini, as he is lovingly referred to by the staff of IPMC) is a Diplomate of the American Board of Sleep Medicine, a certification that stands for the highest standard of healthcare. With more than twenty years of experience in sleep disorders medicine, Dr. Bini is well versed in successfully treating all types of sleep disorders, including sleep apnea, limb movement disorders, insomnia, and narcolepsy. Dr. Bini completed his residency at Mt. Sinai School of Medicine and was a fellow and a clinical instructor at the Sleep Disorders Center at the Medical College of Pennsylvania. He is affiliated with Thomas Jefferson University Hospital, Aria Hospitals, Robert Wood Johnson University Hospital, and the Princeton Medical Center. He is also fluent in English, Russian and Georgian. His pleasant, down to earth personality helps patients feel relaxed and comfortable. His wealth of experience inspires confidence in knowing that he is providing the utmost level of care, which starts from the first time a patent is seen for evaluation and continues throughout the course of treatment. Dr. Bini’s focus is on medicine that results in a better quality of life for those suffering from the detrimental impact of sleep disorders.